Back in the early 19th century, Yonge and Eglinton and the surrounding area was primarily used for farming. It used to be the largest cattle grazing region in Upper Canada. In fact, the region was the first in North America to extend the use of cowbells to all cattle. Before this, the standard practice was for a cowbell to be attached to only the best piece of livestock. In honour of this piece of significant history, the City of Toronto named a nearby street “Cowbell Lane”. On December 7, 1837, approximately 400 rebels gathered around Montgomery’s Tavern just north of Yonge and Eglin­ton and tried to overthrow the British government and declare a republic. The rebels however, were no match for the thousand-strong army of British soldiers who crushed the revolt. The tavern was eventually torn down in the 1930’s and was replaced by the post office, Postal Station K. It still stands there today and is one of the only buildings in Toronto to bear the cypher for Edward VIII, who was King for only eleven months in 1936. 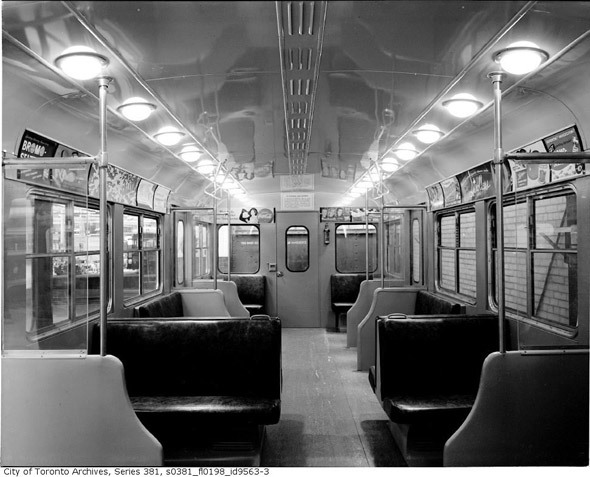 In the first half of the 20th century, Yonge and Eglinton was a quiet and sleepy neighbourhood until 1954 when the Eglinton sub­way sta­tion was opened. This along with the subway extension to York Mills in 1973, helped Yonge and Eglinton become the landmark location that it is today. Eglinton subway station was a big deal for Yonge and Eglinton and for the entire city but the the new Eglinton Crosstown LRT will take the neighbourhood to greater heights. Expected to be in service by 2020, it will be the largest LRT expansion in the history of Toronto and will provide an easy connection to subways, buses and GO Transit. Our E Condos residents will have the sweetest deal in town because E Condos will have direct access to the Yonge subway and the Eglinton LRT residents. Residents will also have the among the best views in the city and will be able to look out at the city skyline while swimming in the cantilevered pool on the 31st floor of the building. 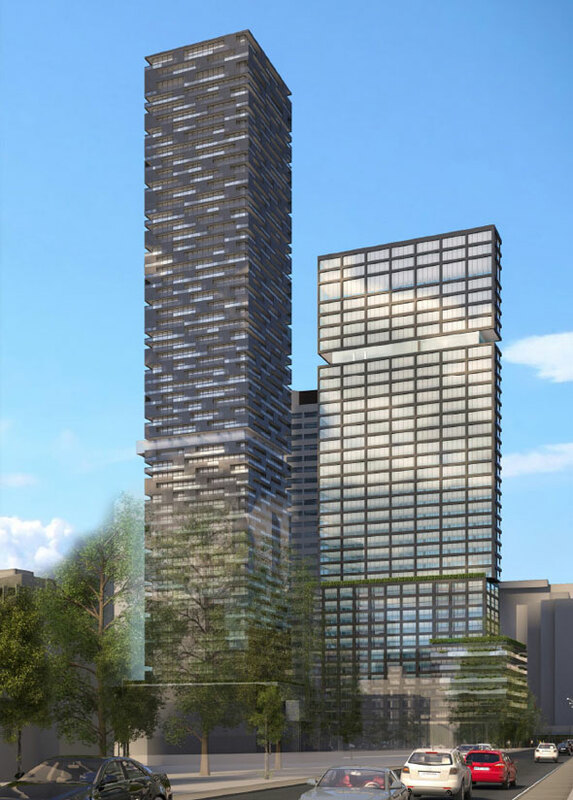 Over the next decade or so, there will be more than 30 plus new Yonge and Eglinton Condos in the neighbourhood and that number includes E Condos by Bazis, Riocan and Metropia. All the residential construction taking place at Yonge and Eglinton is providing a huge economic boost for the neighbourhood and the entire city. E Condos for example, will employ approximately 3000 people during construction and for every $1 we spend on the $6 million project, $17 will be spun off into the local economy. In addition, when E is completed, it will generate $6,000,000 a year in municipal taxes from residents and the commercial components. 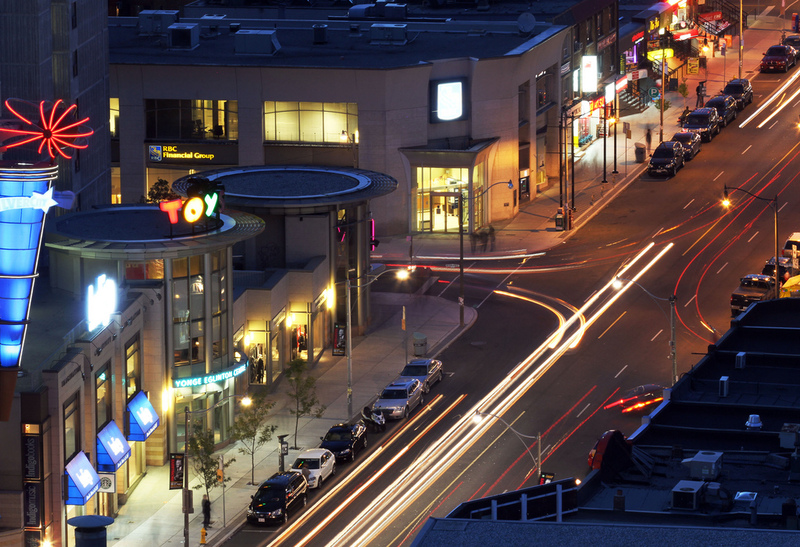 Yonge and Eglinton sure has come a long way over the last 200 years and we’re proud to call the neighbourhood home for E Condos.